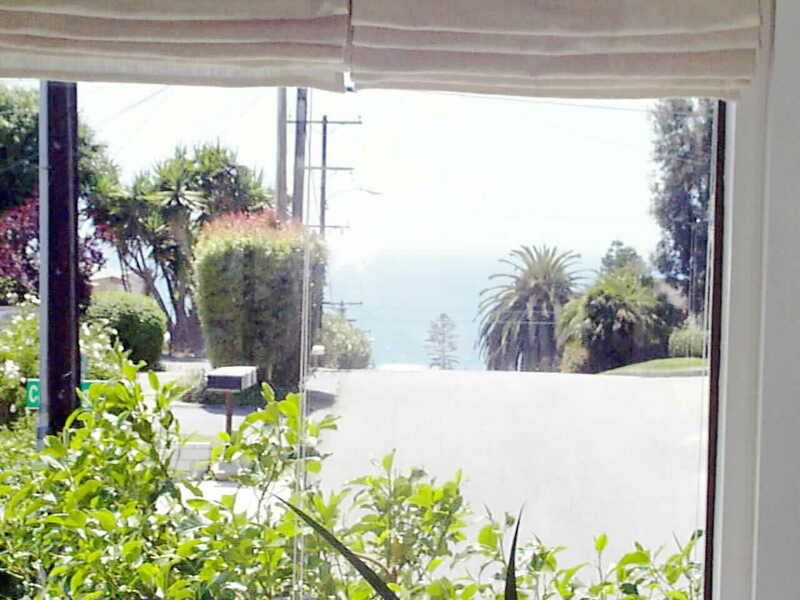 Cardiff By The Sea Ocean View ..."Romantic Charmer"
2409 Cambridge Avenue... The Walking District.. Custom designed by Award Winning "Eric Klock"...this Cardiff By The Sea "Walking District" beauty just oozes charm and character. 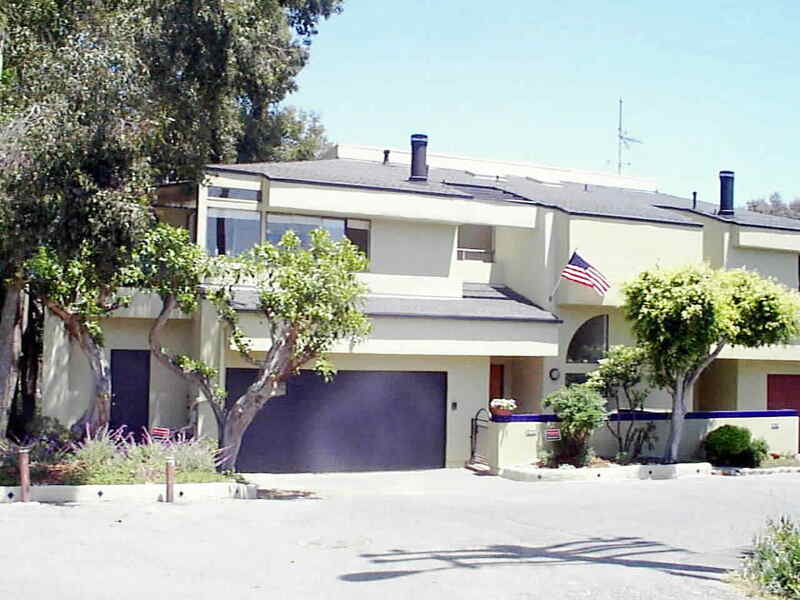 Vaulted Ceiling and view windows abound.. taking advantage of the unobstructed Ocean View.. and the Cul-de-Sac.. private Canyon View setting. Truly short walking distance to dining.. shopping.. the Beach.. or nature and bird hiking around the San Elijo lagoon.. the combination of ammenities is unique. Light... Bright... Airy... and open... yet cozy and secluded. Like living in a tree house at the Beach. While living at the beach is often more like living in a fish bowl.. this unique home offers a life style that is shaped by the windows never being covered. Sit down white water views of the "Pipes" off San Elijo State Beach... and cool shaded views through the trees into the Lagoon canyon . Famous for the Surf.. the views.. the convenience to Del Mar and San Diego.. Cardiff By the Sea combines the feel of a small English Coastal town.. featuring Quaint English Street names dating back more than 80 years... areas like the "Walking District".. or "Composer District"... and modern necessities like easy freeway access... your own neighborhood "Starbucks"... or stroll down the hill to North San Diego Counties best breakfast burrito at Pipes Cafe . This Beach charmer not only has a nice sized two car garage.. but 2+ spaces in front for guests... and... extra ground floor storage area for your shop... Bikes... Kayacs... or toys of choice. If you're reading this is a place like Wyoming.. notice.. no snow.. no wind.. so just grab a couple of friends.. pick up a nice car.. and here's your new "Private" Time Share. Super Shuttle will meet you every time. If using Netscape, you may "right click" on any image and "view the image" in a larger format and greater detail. Views from every room.. even makes doing the dishes fun.. well .. almost. 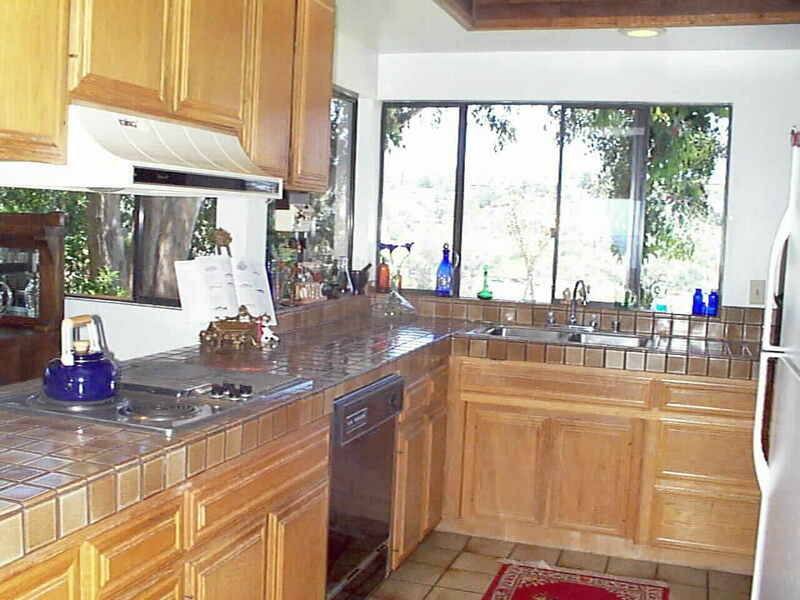 The "Party Central" Kitchen has a convenient pass through over the breakfast bar.. to the formal dining room.. with views in all directions.. featuring sit down ocean view to the West of course. 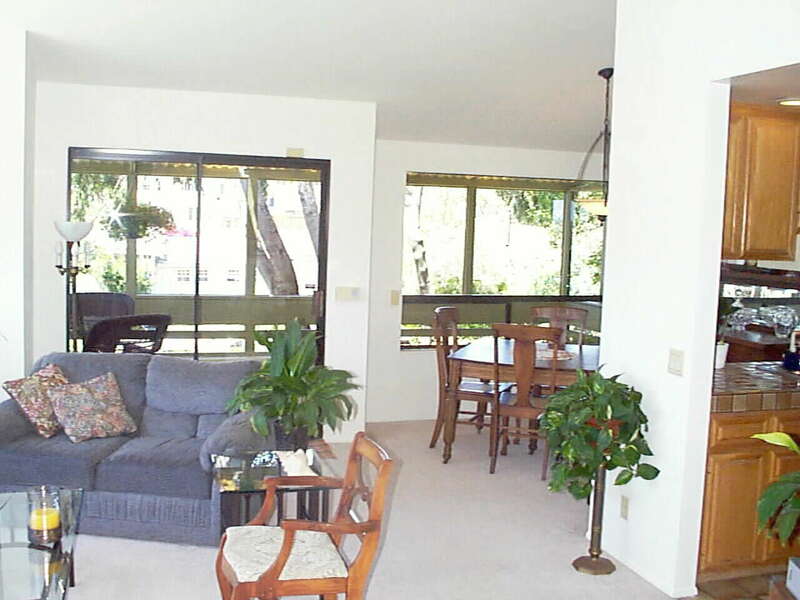 The second floor main living area shown here creates the feel of total privacy.. and views framed by year round greenery and flowers... it is charming... also spotless. 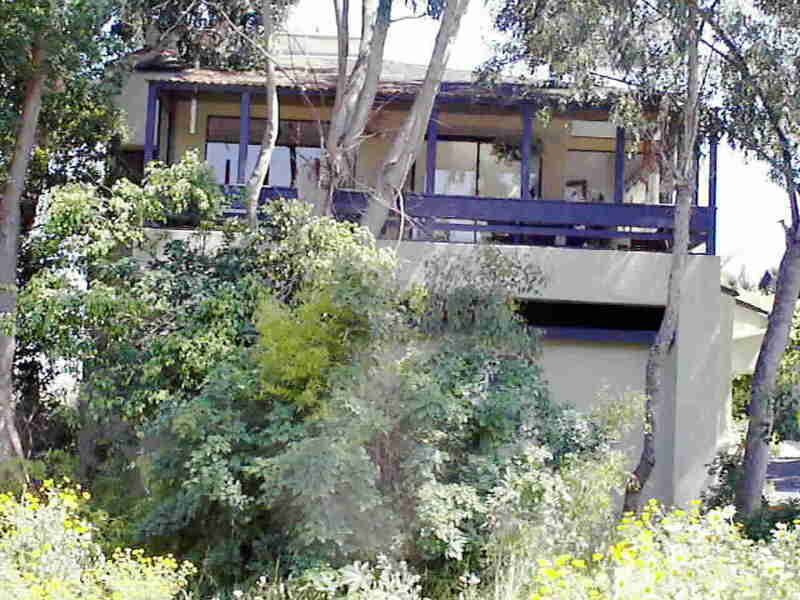 The current owners did have plans approved by the City of Encinitas (Cardiff By the Sea is incorporated as part of Encinitas) for an addition to create a ground floor bonus "Family Room" or additional sleeping area.. expanded formal dining.. expanded living room area.. and a new third floor 12 x 23 view deck... these plans will be passed along to the new owners. Notice the lack of window treatments in all of these photos. You actually have privacy at the beach.